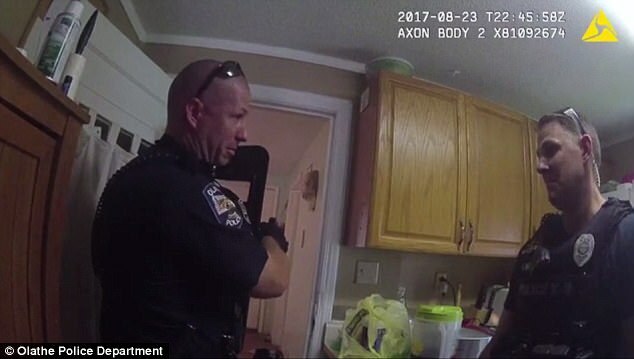 Newly released police bodycam footage shows the shocking final moments of a tense standoff in which cops shot dead an emotionally disturbed woman armed with a gun. 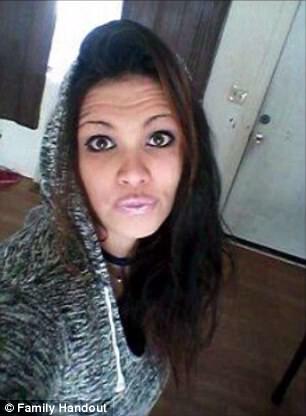 Police in Olathe, Kansas shot dead Ciara Howard, 26, in August after a three-hour standoff in which she acted bizarrely, refused police orders, and finally pointed a gun at cops, leading to her death. 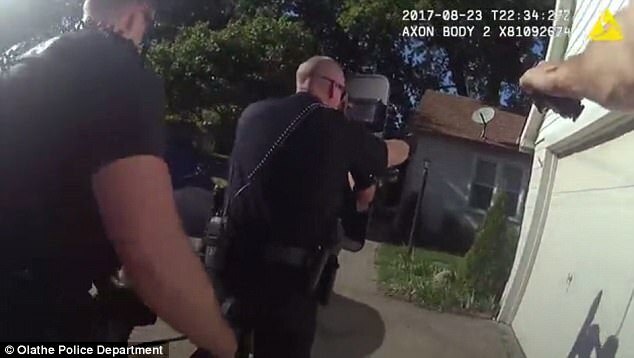 The bodycam video, released on Tuesday following a lawsuit by the Kansas City Star, shows the deadly conclusion of the standoff, which was ruled a justified shooting but has raised questions about police tactics. The dramatic scene unfolded on the afternoon of August 23, when Olathe Police officers and Johnson County Sheriff's deputies arrived at a residence to serve an arrest warrant on Howard for a probation violation. 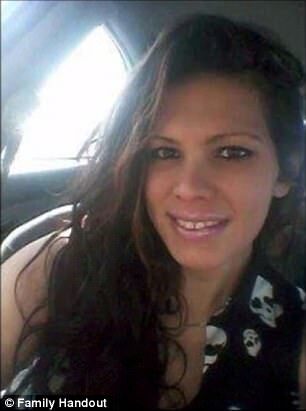 Howard had a record of erratic behavior and criminal offenses, including domestic fights with her mom and driving without a license, often compounded by failure to follow subsequent court orders. At the time of the shooting, she was serving probation on a 2016 arrest for theft and obstruction. In that case, she had stolen an acquaintance's car from her mother's house after an argument, then abandoned the car and ran away when police tried to pull her over. 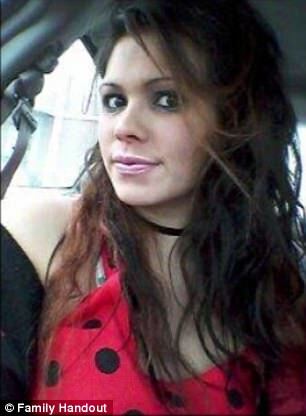 Days before the fatal standoff, she was charged with felony escape for failing to report to an adult supervision center as required under her parole, and police were tipped off as to the residence where she was staying. Cops arrived at around 3pm on August 23 and surrounded the house. They were in verbal contact with Howard, who refused to come out of the residence and barricaded herself in a back room. Around three hours later, at 6pm, cops began to move into the residence, repeatedly ordering Howard to surrender and threatening to release a K-9 unit into the house if she did not. About 20 minutes after entering the residence, police were positioned outside the door to a small utility room where Howard had barricaded herself inside. Speaking through a crack in the door, Howard acted bizarrely, barking at the police dog and claiming she didn't believe the cops were legitimate law enforcement officers. Howard's family has said that she had been diagnosed with bipolar disorder, although it is unclear whether the police were aware of that diagnosis. As cops surrounded the door she had cracked open, Howard suddenly slammed the door shut. The sergeant on the scene made a snap decision, and kicked in the door to confront her. 'Gun!' the sergeant can be hear shouting on the video, spotting Howard waving a black handgun in her left hand. For 13 seconds, multiple officers shout at her to drop the gun as she waves it in the air, clearly pointing it at the cops several times. Howard refuses to lower the gun, screaming that the officers are not real cops, until finally they open fire. Sounding stunned, the cops secure Howard's gun and call for medical assistance. 'Breathe. Breathe, Ciara. Breathe,' says the deputy wearing the bodycam. 'She's gone,' says another officer standing over Howard's crumpled figure. 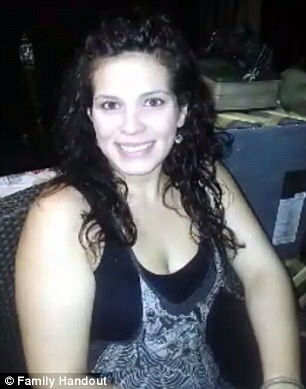 Howard's family has blasted the shooting as unnecessary, saying that more patient tactics could have averted her death. 'Why couldn't they have waited?' Howard's stepfather Mark Arnold told the Star. Prosecutors said that although they had ruled the shooting justified, that decision isn't a ruling on whether the police entering the house when they did was the right tactic. 'I'm a prosecutor, not a police tactician,' Johnson County Chief Deputy District Attorney Chris McMullin told the Star. 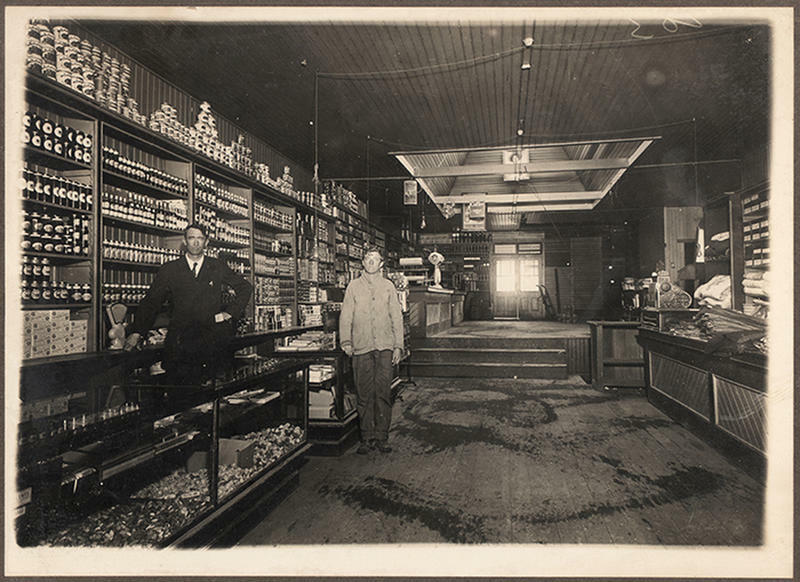 'Our sole determination is (to assess) were their actions justified under Kansas law.